As in earlier years, women were expected to join demonstrations in cities across the United States, and around the world. 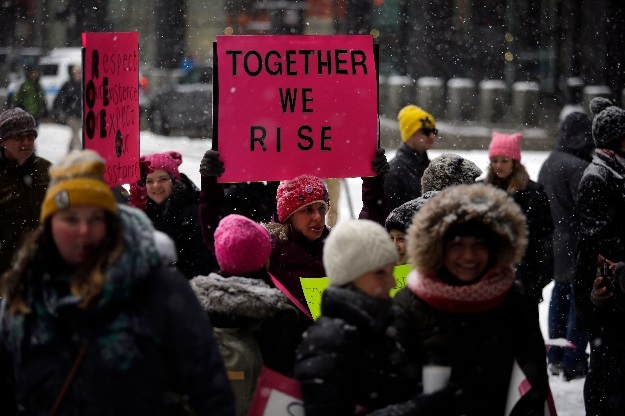 Among the protesters was Nydia Leaf, an energetic, pink-hatted 86-year-old taking part in her third women’s march. The original march helped spark a rise in women’s political activism, with a record 131 women now serving in the new US Congress. One Jewish march organizer split off and founded a parallel organization, March On, which held a separate rally in New York. Democratic New York Congresswoman Alexandria Ocasio-Cortez, who was part of the women’s wave elected to Congress in November, attended both rallies.